These are some of the earliest translations into Latin of Chinese medical texts on the pulse written by Wang Shuhe of the third century. 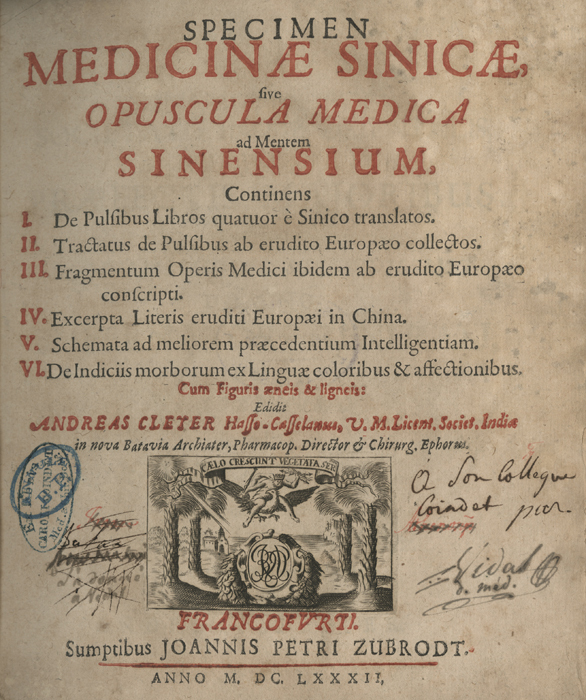 The translations, though here edited by Andreas Cleyer and published anonymously, were made by Michel Boym (1612-1659), a Polish scientist and Jesuit missionary in China. 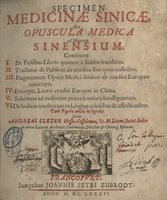 Wang, Shuhe, 265-316, “Specimen medicinae Sinicae,” OnView: Digital Collections & Exhibits, accessed April 22, 2019, https://collections.countway.harvard.edu/onview/items/show/12604.